YouTube has turned out to be the top number 2 website in the US. Facebook had been in this place for a long time before. 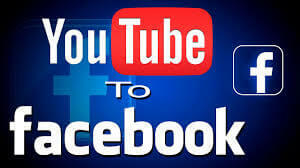 YouTube has become the top number 2 website in the US by overtaking Facebook in the US. Facebook had been in this position for a long time before, but its monthly page visit has seen a sharp decline, which has decreased from 8.5 billion to 4.7 billion in the last two years. Because of this, Facebook has lost this place. On CNBC's report, market research firm Similirweb said on Wednesday that although the traffic of Facebook's app has increased, it was not so much that Facebook could retain its second position. Facebook had earlier said that in the second quarter of this year, the number of its users in North America has remained steady, while its number of users in Europe has declined in the meantime. On the other hand, the increase in traffic and viewership of YouTube owned by Google's parent company Alphabet. This study found that Google is retained at the top of the US top website. Researchers have speculated that Amazon will become the fourth most visited website in America in the next few months, behind Yahoo.